Liferay is central to Britam’s digital transformation goals. Britam is a leading diversified financial services group listed on the Nairobi Securities Exchange. The group has a presence in seven countries in Africa, namely Kenya, Uganda, Tanzania, Rwanda, South Sudan, Mozambique and Malawi. The group offers a wide range of financial solutions in Life Assurance, General Insurance, Health Insurance, Retirement Planning, Asset Management and Property. In short, Britam needed to build a digital experience platform that would serve as the foundation of its transformation and enable the company to tackle common obstacles across its various businesses. The digital transformation at Britam is a combination of changes to IT systems at every level, ranging from the underlying line of business systems, to databases and digital engagement services. The company wanted to identify common applications that were used across insurance portals and package them into a single application repository to reuse across customer touchpoints. Uniting departments in order to develop a holistic view of the customer experience became a key focus of Britam's digital transformation. After assessing several leading portal solutions and digital experience platforms, Britam decided on Liferay. The solution offered a single platform that could meet needs horizontally across multiple use cases and contexts, all within a single technology environment. Britam was also impressed with the potential reuse of multiple applications across many portal environments — exactly what the company was looking for to unite its many sites. "Liferay is central to Britam's digital transformation goals," says Jack Maina, Britam's GCOO. "It's a great option for large enterprises that require a digital engagement platform to bring together multiple business contexts." Financial Advisor Portal: Advisors can now do Life Assurance quotations, access customer details including their policy details, lead management, rich content and other applications. The portal provides self-service capabilities and enables the sales force to manage its client portfolio independently. Customer Service Portal: Customers can access self-service options for Britam's Life business products in a single, unified interface, and more products will be added gradually. Market Place: Britam customers can now do their own quotations and purchase Marine Insurance policies from the Britam Market Place. Partner Service Portal: Marine Insurance brokers and agents can now do quotations, manage the purchase of Marine Insurance policies and access self-service options. Financial brokers, doctors, health advisors, travel agents and other Britam extended partners can access a full shop of Marine business applications. Seven Corporate Websites: Each Britam region has its own website, with multilingual capabilities and a common content management system using Liferay. Corporate Intranet: A new and revamped intranet, called Britam Connect, which allows the organization to collaborate and share in a fresh and exciting way. Many portals and core systems are within a Single Sign On environment, and benefit from centralized identity management with OpenLDAP, OpenAM and Cisco ISE integration. The remaining portal systems are being gradually onboarded in order to achieve the goal of a fully unified platform. The connected portals function as the presentation layer, implemented on top of the integration layer, business services layer and core business systems. As core platforms are installed and modified, the services are constantly changing and new features are being deployed in phases. By decoupling the integrated services layer and the overall system, Britam is able to maintain a modern presentation portal for customers, partners, site visitors and employees, while pulling in new services as soon as they’re available. Britam’s new digital experience platform has been rolled out with exceptional success, and in 2015 earned the company the CIO 100 Award for East Africa. Britam sees this as a new era of convenience for its users, with improved business processes, enhanced structures and state-of-the-art IT systems that position the company for future growth. Britam is already witnessing benefits that would not have been possible without the new systems. For instance, Financial Advisors now have customer intelligence that allows them to focus on analysis instead of data crunching, and eliminates decisions that are made according to “gut feelings” instead of tangible facts. Financial Advisors now sell more and service their customers better, with near 100% adoption of the new portal. Britam has also drastically reduced the cost of customer service through its self-service site, which can be accessed on any mobile device. The new corporate intranet, Britam Connect, has seen a similar jump in user adoption. The increase in active users has fueled a collaborative culture that supports the ongoing digital transformation strategy and ensures everyone remains informed of its progress. With the steady rollout of more sites, Britam is transforming its digital experiences one step at a time, ultimately leading to better relationships with its customers. One of the company’s primary goals was enabling growth in profitability across regions, and this IT transformation has made it possible to scale and expand. The company is now ready with the necessary capabilities to respond to requirements from new, incoming customers, further enabling their regional and local growth strategy. With Liferay, Britam built an integrated, future-proof strategic digital platform that is reliable, secure and flexible. 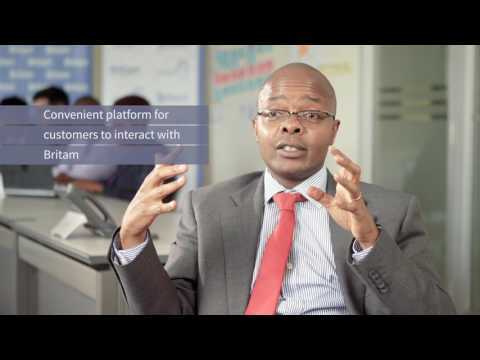 Looking forward, Britam hopes that its digital journeys can be further explored for customers, partners and agents with its interconnected platform. Content and applications will be more contextualized and targeted to the right end users. "Liferay has been a technology partner for Britam in its journey toward digital transformation," says Maina. "What defines a digital experience platform isn't just features and tools. It's the ability to bring your entire organization together and achieve new levels of efficiency, through sophisticated integration, reusable components and unified design. Digital experience platforms get everyone on the same page, and Liferay has exceeded our expectations in achieving this."